Have you ever found yourself with an abundance of ripe avocados and nothing to do with them? Me neither… there’s always room for avocados on my menu. But let’s just say, per chance, that you have a handful or two of ripe avocados and you want to save some of that green goodness for non-peak California Avocado season. By properly freezing them, it’s possible to enjoy California Avocados all year long! It’s actually quite simple to do. Whole, sliced, diced, or mashed avocado are not very desirable when frozen. 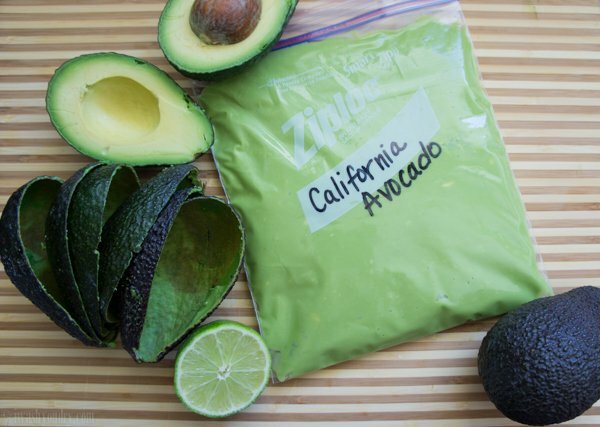 The best way to preserve and freeze an avocado is in a pureed form. Pureed avocados are perfect in guacamole dips, dressings, or even spread on sandwiches. 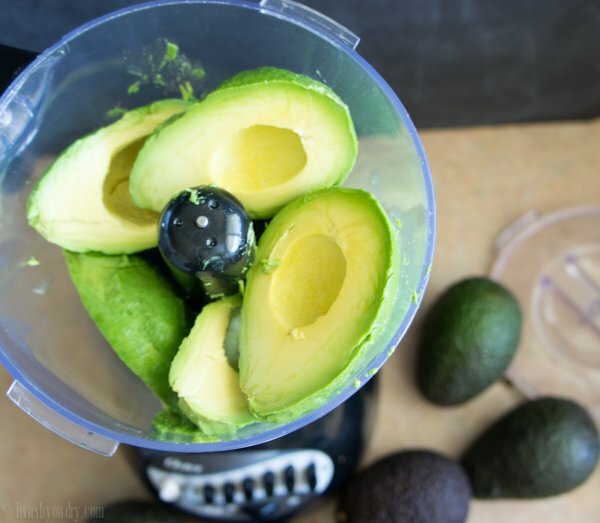 All you need are the ripe avocados, some limes, and a food processor or blender. Speaking of avocados… have you entered your California Avocado recipe into the California Avocado Cinco de Mayo Recipe Fiesta Giveaway yet? I’m giving away over $800 in cash and prizes on my site, and Rachel from A Southern Fairytale is giving away over $800 in cash and prizes too! The contest ends May 8th, so hurry up and submit your recipes before you miss out! 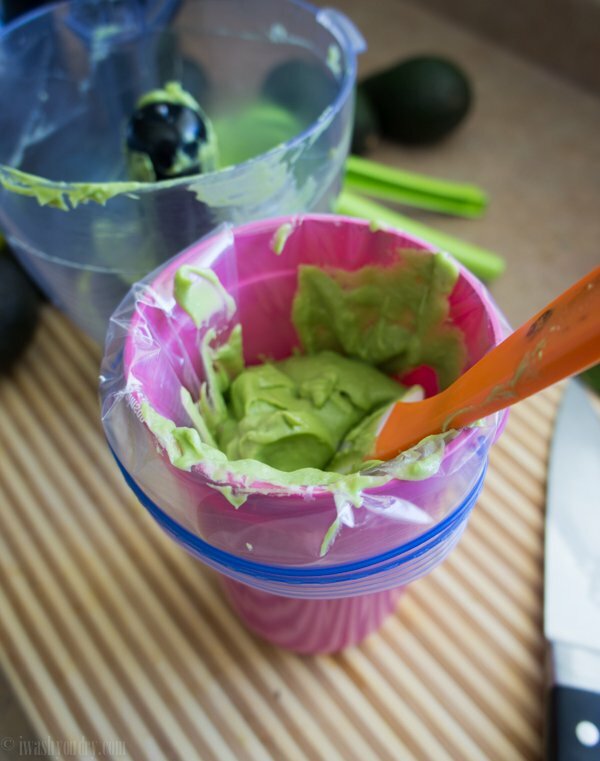 Once you have pureed your avocados with some lime juice, scoop the puree into a zip close bag. The easiest way to do this when you’re all by yourself is by putting the bag inside of a big cup and folding the top of the bag over the lip of the cup. It’s like having a second pair of hands! If you’re not a huge fan of lime with your avocados, try using lemon juice instead. I’m going to share a fantastic recipe using some pureed avocados later this week, so make sure to check back for that! 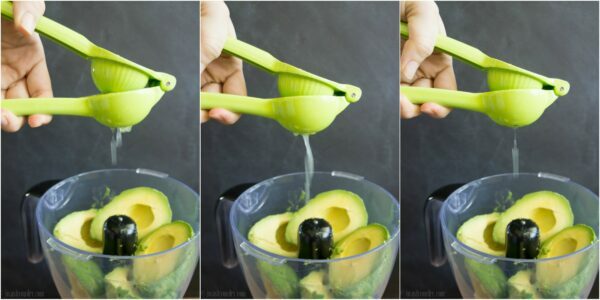 Cut and peel the ripe avocados and place them in the work bowl of your food processor. Add 1 tbsp of lime or lemon juice per avocado being processed. Puree until smooth to ensure the acidic agent has been evenly distributed throughout the avocados. 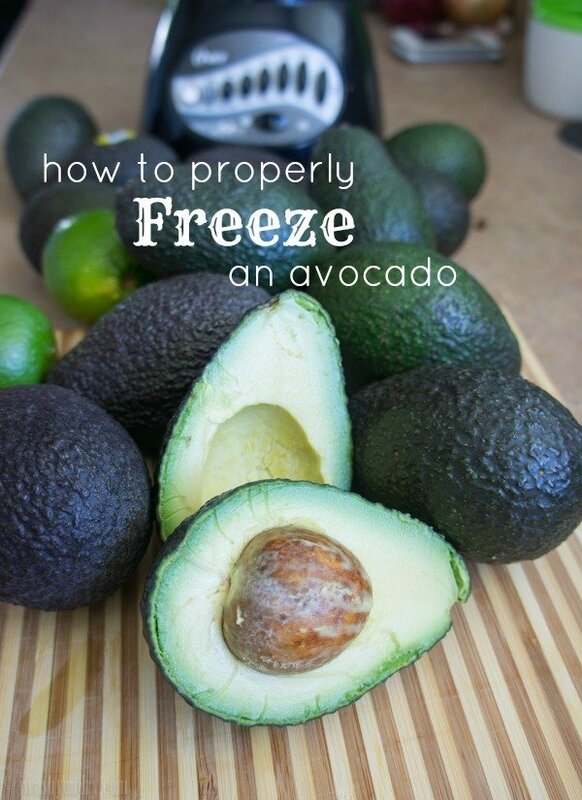 Use the frozen avocado within 4 to 5 months. Use the avocado puree in guacamole, dressings, sauces, or spread on sandwiches.